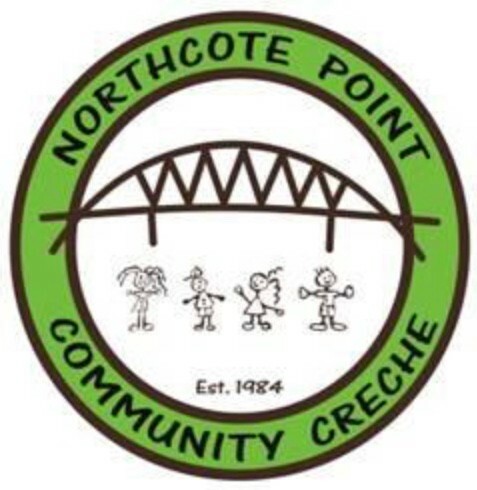 Northcote Point Community Creche major fundraising event for 2018. Calling all 'Trivia Newton Johns' and 'John Trivia-oltas'!! 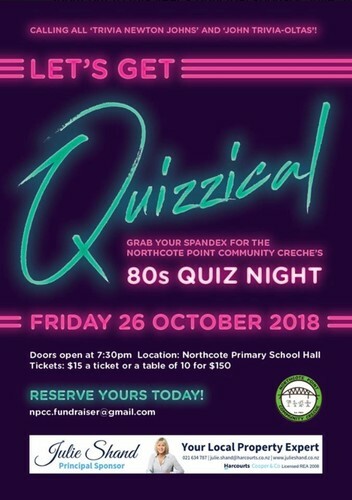 Grab your spandex for The Northcote Point Community Creche's 80s Quiz Night. Pull on those parachute pants (we know you still have hidden in the back of your wardrobe) for a night of laughs, libations and of course donations as we hold our one major fundraising event for the year. There’ll be food and alcohol available, a charity auction, and of course spot prizes for the best dressed! Not quizzically minded? No worries, our quiz master is known to take bribes donations for the correct answers. This major fundraising event for the Northcote Point Community Creche proudly supported by Julie Shand - Harcourts Real Estate Agent, will be a chance to have a fun night with friends and family, or even settle a few scores against fierce rivals. So grab your mates and come and join us for a fun night and help raise money for our wonderful Northcote Point Community Creche!